* UC/SAN can be added for an additional cost. 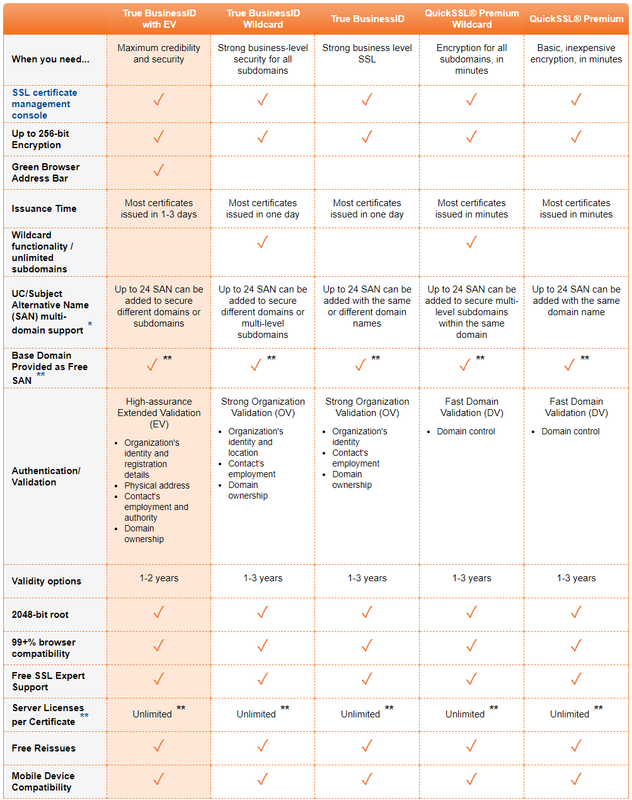 True BusinessID with EV, True BusinessID, and Quick SSL Premium certificates for www.domain.com also secure domain.com (domain.com is added as a free SAN). The base domain is added as a free SAN for certificates that begin with “www” and do not contain subdomains (e.g., added for www.domain.com, but not added for www.payments.domain.com). The free SAN does not count as part of the 24 SAN that can be added. 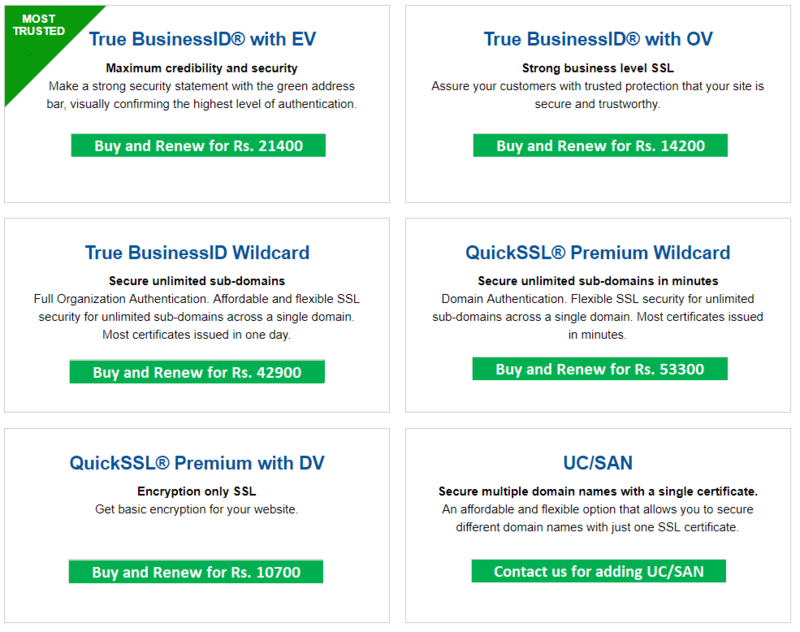 True BusinessID Wildcard and QuickSSL Premium Wildcard certificates for *.domain.com also secure domain.com (domain.com is added as a free SAN). The base domain is added as a free SAN for wildcard certificate domains without subdomains (e.g., added for *.domain.com, but not added for *.payments.domain.com).